Eggs can make a great meal. They are rich in protein, and also contain Vitamins D, E, K, B6, calcium and zinc. Although high in cholesterol they help raise the HDL (HIgh Density Lipoprotein) also termed good cholesterol so help reduce the risk of heart disease and stroke. They also contain antioxidants which help improve eye health. Due to their high protein content eggs are thought to help keep you feeling fuller for longer and therefore taking in less calories. Many of us do not eat enough eggs so here is a simple and tasty recipe you might like to try for yourself to increase your weekly egg intake. This recipe can be adapted to suit your taste so mix and match ingredients to your liking. Thinly slice the courgette into discs. Break the eggs into a bowl, add the milk and give it a little whisk until it lightens in colour a little. Set aside. Heat a frying pan and add in 1 tbs olive oil. Throw in the courgette and cook for approx. 3 minutes then add in the tomatoes and olives. Add in freshly ground salt and pepper to taste and stir. Sprinkle over the cheese. Pour over the egg mixture and cook at a low / medium heat, covered with a lid for approx. 5 minutes until the egg is completely cooked through. They are great and so quick and simple to make. Ooooh this looks so good. I never had anything this exciting as a kid! He is a cutie. I eat eggs everyday. 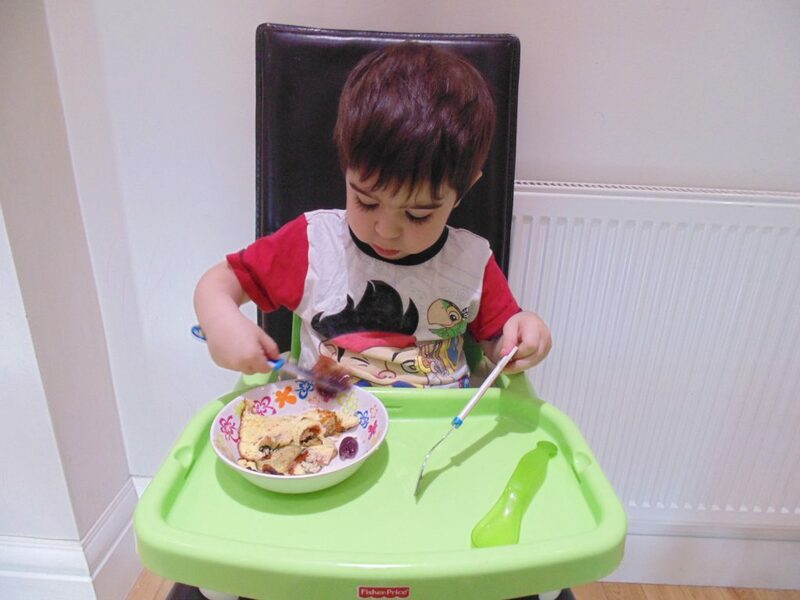 Omelettes are so yummy. I am a big fan of Omelettes, though we had an omelette maker so cheat slightly ha. This looks absolutely yummy! 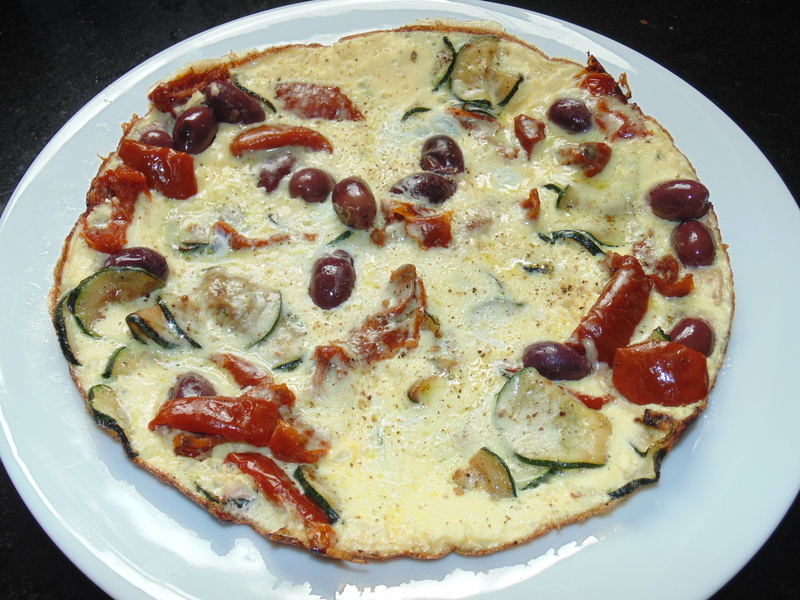 I am a big fan of omelettes, but get stuck thinking of new combinations, so this could be a winner! Glad to help Tanya, I am sure I will be featuring more recipes like this soon. This sounds delicious, really easy to make too! Great for kids and adults alike!! I have never tried courgette in an omelette before, so this will be a first for me. Great way to use them. I love omelette but it rarely crosses my mind to make one because one of my girls is allergic to eggs. Your omelette looks yum. My kids will love this recipe as they love their eggs over rice so much. Will try and incorporate some semi dried tomatoes and courgette as well for a healthy treat! Healthy , tasty , and easy , this one ticks all the boxes ! I’d enjoy this, but OH won’t eat olives – silly man! I love courgettes what a great recipe, thanks for sharing. 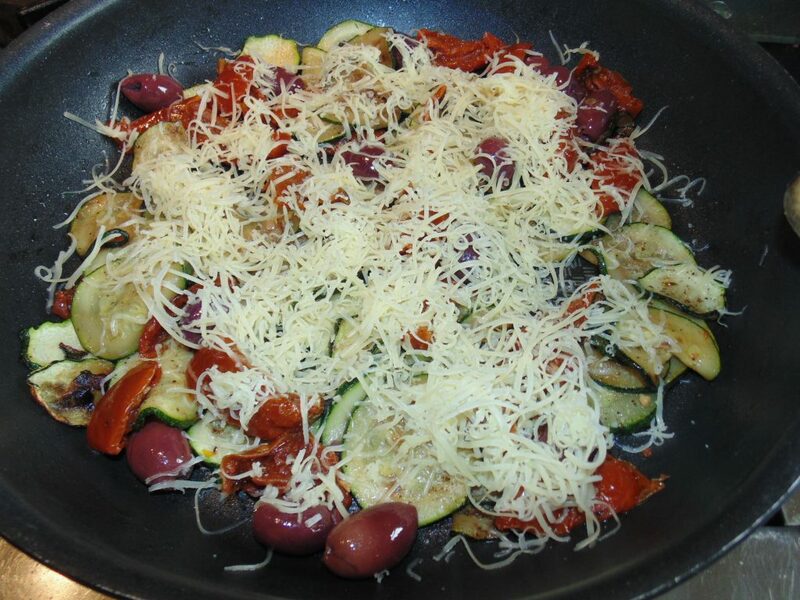 I haven’t had courgette in ages, and never with olives, I bet that tastes great; this whole dish sounds lovely.